Chop leek, discarding dark greens and root. Leeks are a fairly “dirty” vegetable – they catch dirt in the leaves as the grow, so be sure that you clean them thoroughly. 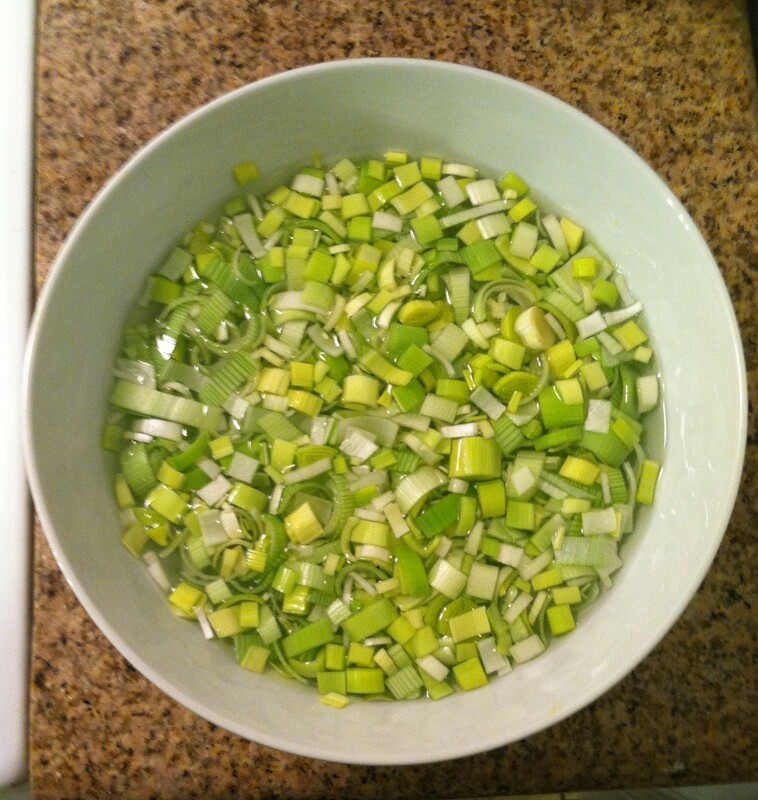 The best way is to soak the chopped leek in large bowl of water for about 3 minutes, letting dirt fall to the bottom. Cook pasta according to box directions. In a large pan, sauté chicken breasts in olive oil until cooked through (about 4 minutes per side). Remove chicken from heat and transfer to cutting board. Let sit for a few minutes and then chop into bite size pieces. After the chicken is cooked, wipe the pan and heat on medium. Add the leeks and one tablespoon butter. 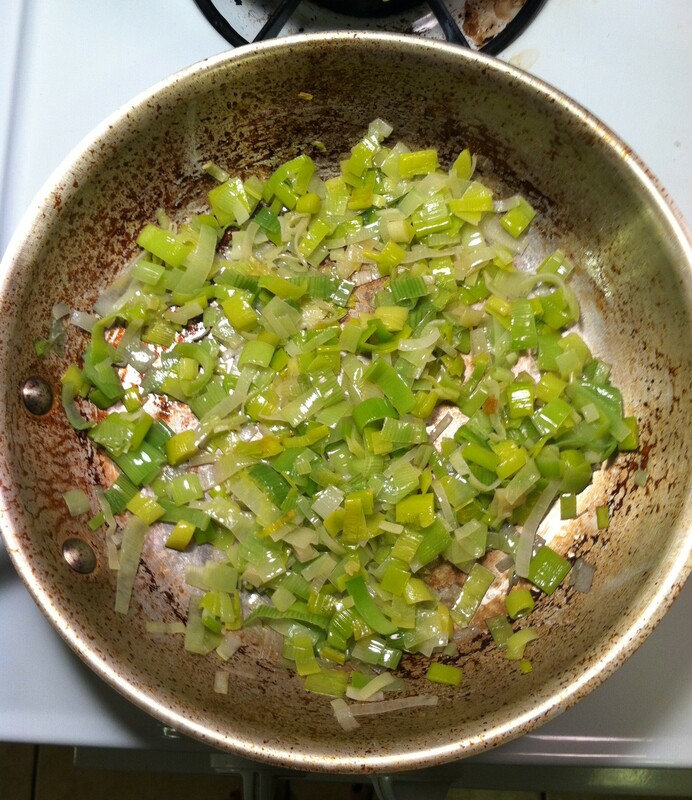 Sauté the leeks until they begin to brown (5-10 minutes). 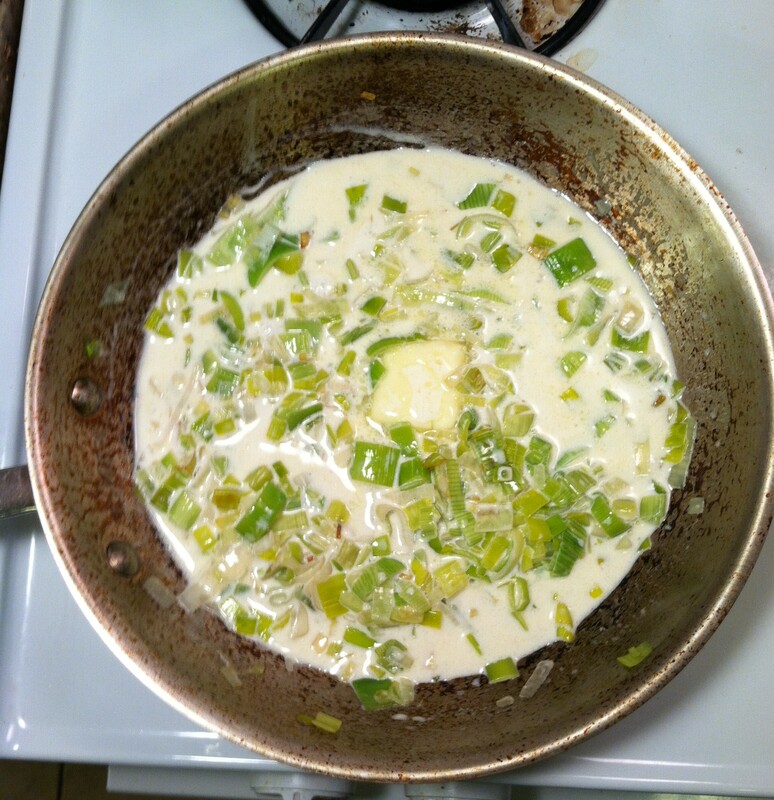 Add cream and remaining butter to leeks and reduce heat to simmer. Once the cream is simmering, remove from heat. Combine parmesan with leek mixture. 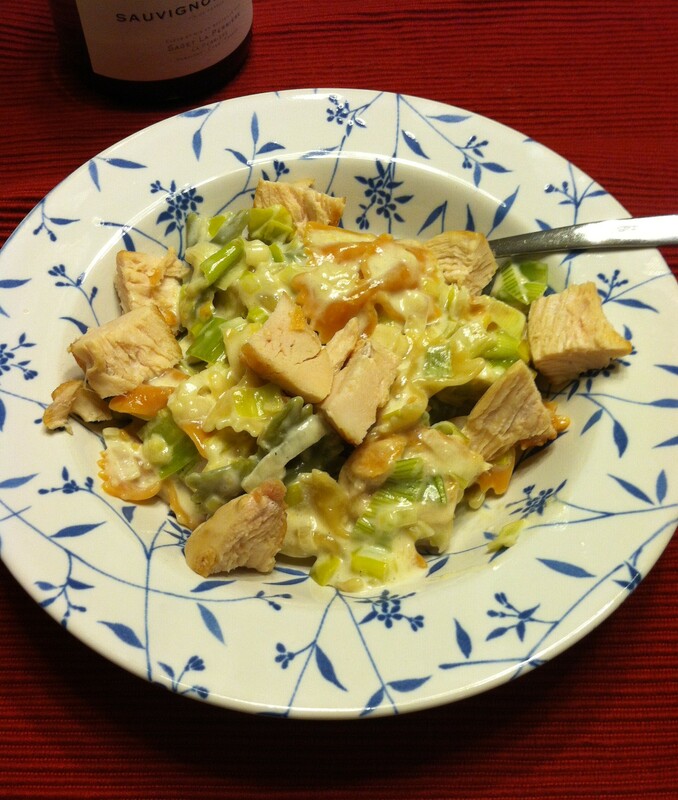 Combine the pasta and half the chicken with the leek mixture. Spilt between two plates/pasta bowls and top with remaining chicken. 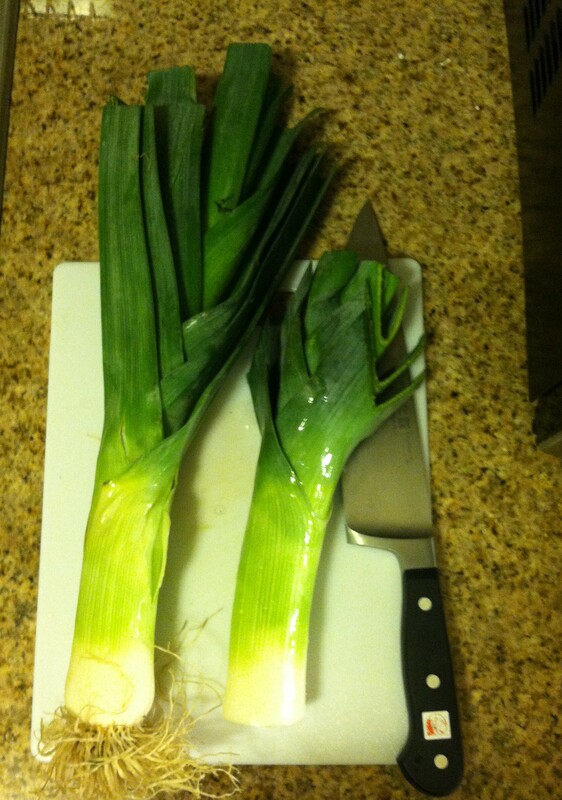 Chop leek, discarding dark greens and root. In a large pan, sauté chicken breasts in olive oil until cooked through (about 4 minutes per side). Remove chicken from heat and transfer to cutting board. Let sit for a few minutes and then chop into bite size pieces. 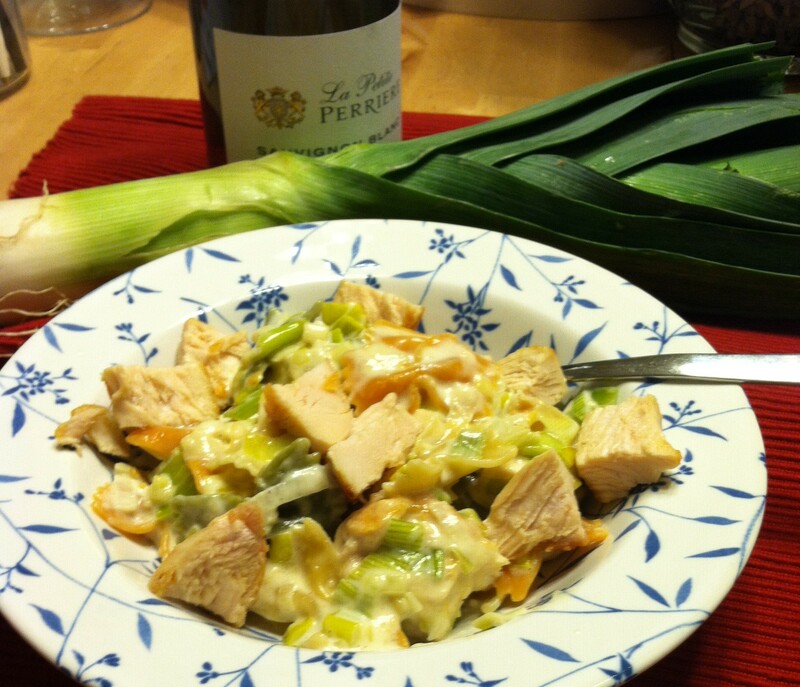 Add the leeks and one tablespoon butter. Combine parmesan with leek mixture. 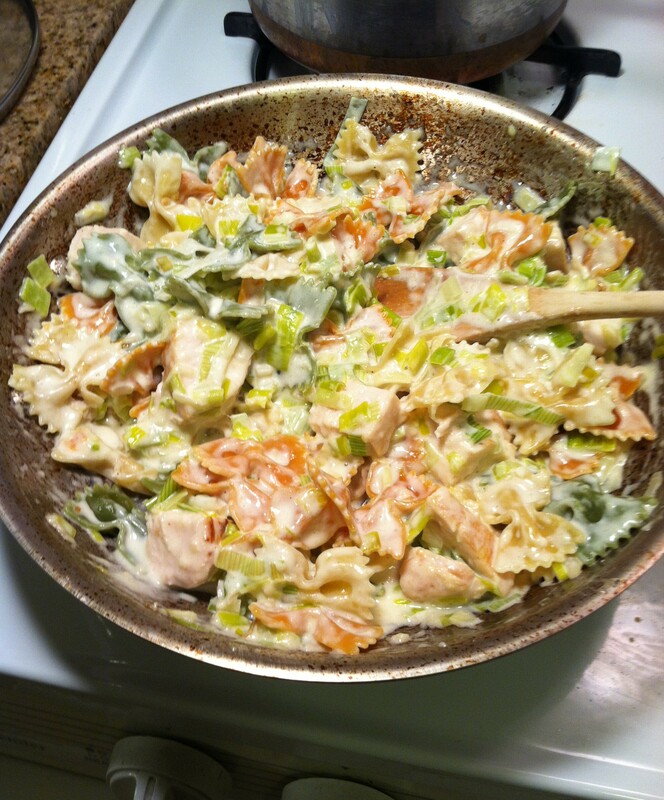 Combine the pasta and half the chicken with the leek mixture. Spilt between two plates/pasta bowls and top with remaining chicken.